This is an extra large painting for my exhibition in March at Rebecca Hossack Gallery The painting is made up of 12 sheets of Double Elephant handmade paper. 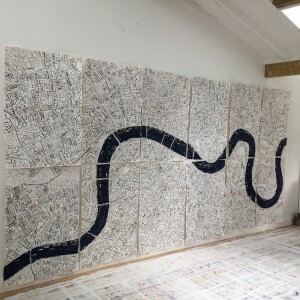 Each piece measures 100 x 70 cm so the overall work is 200 x 420 cm. The work will be float mounted to the wall , so no frame.